Find out which musicians and celebrities he bumped into, how he walked almost 30 miles over the weekend, and other Emerald Cup standouts and highlights. Craig Ex and Chali 2na. 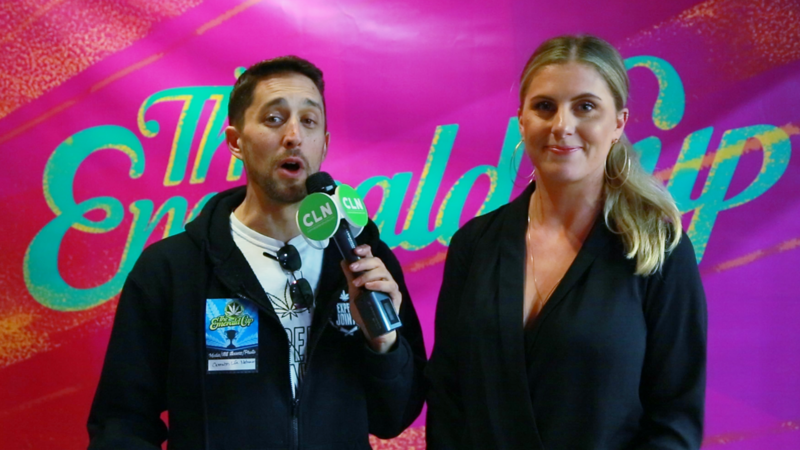 CLN: How was the 2017 Emerald Cup? Craig: It was great to see the event’s growth and development. The Emerald Cup is continuing its evolution and for 2017, it was more than ever. I heard it was a busy weekend. Craig: Yeah we did 24,000 steps on Saturday and 21,000 steps on Sunday, which added up to almost 30 miles for that weekend. It was great. How did the community come together after the devastating Northern California wildfires back in October? Craig: The community absolutely stepped up. The Emerald Cup donated almost $50,000 from the entry fees alone- the over 900 entries donated $50 each to the fire relief fund. I saw the organizers doing everything they could to support the area- there were donation signs everywhere. Of course, we saw a few burnt out structures and cars, but from where we were in Sonoma County, a lot of it wasn’t particularly visible because places were impacted differently. Craig: The interview with Berner was awesome- the man behind [Girl Scout] Cookies himself. He’s also a hell of an MC and he was there in the booth with Stinje and they were there releasing all these new products- he also gave me some information on his new album, The Big Pescado , dropping January 16th, and he listed off all the artists who are a part of that. Of course, I appreciate Tim and Taylor Blake, the organizers of the event, taking the time to see me over and over. I don’t think there’s too many people who can say they’ve judged the Emerald Cup, a High Times Cup, a Karma Cup, and a Prairie Cup, and it would be an honor to join the elite ranks of people who have done that.